Draft: 2001, Pittsburgh Pirates, 38th rd. Rajai (pronounced rah-jay) Lavae Davis graduated from New London (CT) High School in 1999 where he played football, basketball and baseball...Attended the University of Connecticut at Avery Point...Was inducted into the school's Baseball Hall of Fame in 2012... On the board of directors for the Miracle Temple Church in New London, CT...Created Rajai's Clubhouse, a play area for young children who are too young to attend services...Has two kids with his wife, Marissa...One daughter, Jada Marie, five, and a son, Jordan Michael, three. Appeared in 101 games for Cleveland, including 75 games and 47 starts in the outfield (33 starts in center field, 14 in left field)...Spent the entire season on the active roster except for a twoweek stint on the DL late in the season to treat a personal medical condition that bothered him most of the season...Stole 21 bases in 28 attempts and did not steal a base from June 25-September 5...Following his steal on June 24 he was tied for second in the AL with 16 steals...Finished tied for 10th in the AL in steals (21)...Stole his 400th career base on May 3 vs. Toronto (game 1). Played for the American League Champion Cleveland In-dians and hit .249 with 12 home runs and 48 RBI in 134 games…had career highs in runs (74), home runs, walks (33) and strikeouts (106) and matched his best with 37 extra base hits (also 2014)…led the AL and ranked fourth in the majors with 43 stolen bases…it was the first time he led the league in steals and his seventh career Top 10 finish… became the first Indian to lead the league in steals since Kenny Lofton in 1996…it was his fifth career 40-steal season and he has stolen at least 18 bases in each of the last 10 seasons…at the age of 35, he tied for the fourth oldest player to lead his league in steals…is the oldest since Rickey Henderson led the AL with 66 steals at the age of 39 in 1998…his 43 steals were the most by an age 35-or-older player in Indians history, eclipsing the previous mark of 26 set by Nap Lajoie in 1910…they were the most by a Major Leaguer since Henderson in 1998…was 43-for-49 (87.8%) in stolen base attempts, which was the second highest mark in the AL…led the AL and tied for second in the majors with 13 steals of third base…led the majors with seven steals in the ninth inning…hit .258 (71-for-275) against right-handed pitching compared to .235 (42-for-179) against left-handers…had a .283 batting average with runners in scoring position, but that mark dropped to .208 with RISP and two outs…went 2-for-5 (.400) with the bases loaded and is a .359 (28-for-78) career hitter with the bases full…batted .279 at Progressive Field, .221 on the road…however, hit nine of his 12 home runs and was successful in 18-of-19 (94.7%) stolen base attempts on the road…was also 18-for-19 in steal attempts during the day…slugged nine of his 12 home runs before the All-Star Break…hit .344 with 18 runs scored and was a perfect 6-for-6 in stolen base attempts in 18 interleague games…tied for second in the majors in interleague steals and tied for fourth in runs…now has a .304 (130-for-428) career interleague average…made 107 starts (66 in center field, 40 in left field, one in right field)…had a career-high and team-leading nine assists but tied for seventh among AL outfielders with five errors…was 2-for-15 (.133) with two walks and three stolen bases as a pinch hitter and is a .165 (15-for-91) career hitter in the pinch…made 69 starts batting leadoff…his other 38 starts came in the six through nine spots in the order…hit .253 with 11 home runs, 35 RBI and 26 stolen bases in 70 games overall batting first…the steals were the most in the AL…batted .229 against a pitcher the first two times he saw him in a game, .341 after that…was 8-for-8 in stolen bases against Chicago (AL) and his 36 career steals against the White Sox are his most against any team. Completed his second season with the Detroit Tigers, hitting .258 (88-341) with 16 doubles, 11 triples, 8 home runs and 30 RBI in 112 games (.306/.440/.746)...Finished tied for third in the American League in triples (career-high 11) and equaled his career-best with 8 home runs...Named Tigers Player of the Month for September, hitting .344 (21-61) with 10 runs, 1 2B, 3 3B, 4 HR & 12 RBI in 18 games. ‹ The versatile outfielder appeared in 46 games in center field (537 for career), 39 games (370 career) in left field and 10 games in right field for the A.L. Central Detroit Tigers...He stole 18 bases on the year, including 3 against the Indians on April 25 in Progressive Field...His 322 career stolen bases are 7th among active Major League players, placing in the top ten in the American League in steals six times during his career...The right-handed hitting outfielder owns a career average of .296 (323-1090) against left-handed pitching with 71 2B, 17 3B and 20 home runs (.351/.448/.798). Finished his first full season with the Tigers in 2014, appearing in 134 games...Matched a career high with eight home runs on the season...Finished the year tied for third in the American League with 36 stolen bases -- his 36 stolen bases are the most by a Tigers player since Alex Sanchez swiped 44 bags in 2003...Tabbed as the second-fastest baserunner in the American League by Baseball America...Connected for a season-high three hits on April 24 versus Chicago White Sox -- equaled the high 11 other times during the season...Batted .348 (24x69) with eight stolen bases, two doubles, two home runs and nine RBI in 18 games during April...Compiled a season-best eight-game hitting streak May 21-31 -- batted .375 (12x32) with six runs scored, three doubles, one home run and two RBI during the stretch...Belted a walk-off grand slam and had a season-high four RBI on June 30 versus Oakland -- it marked the second grand slam and first walk-off home run of his career. It was the Tigers eighth walk-off grand slam since at least 1938, and the second ultimate grand slam (team is trailing by three runs) in franchise history...Hit .368 (21x57) with three stolen bases, seven runs scored, four doubles and six RBI in 19 games during July -- finished second in the American League with a .368 average during the month...Stole the 300th base of his major league career in the second game of the doubleheader on August 30 at Chicago's U.S. Cellular Field...Swiped three bases on August 17 versus Seattle -- became the first Tigers player to steal three-or-more bags in a game since Curtis Granderson did so on September 30, 2007...Batted .356 (53x149) with four home runs and 18 RBI with lefthanded pitchers on the mound...hit .247 (77x312) with four home runs and 33 RBI against righties...Hit .312 (64x205) in 64 games at Comerica Park...batted .258 (66x256) in 70 games on the road...Batted .302 (35x116) with 41 RBI with runners in scoring position. Completed his third season with the Toronto Blue Jays in 2013, appearing in 108 games with the club...Ranked second in the American League with 45 stolen bases on the season...Rated as the second fastest baserunner and third best baserunner in the American League by Baseball America...Sidelined May 11-June 4 with a strained oblique...Assigned to Single A Dunedin on an injury rehabilitation assignment on May 31 -- hit .300 (3x10) with a triple in three games with Dunedin...Hit .378 (17x45) with a double and four RBI in 22 games during June -- finished third in the American League with a .378 average (min. 45 PA) during the month...Knocked in a season-high three RBI on July 7 versus Minnesota...Stole a career-high four bases on July 27 versus Houston...Compiled a season-high eight-game hitting streak August 31-September 10 -- batted .300 (9x30) with one double, a triple, three home runs and seven RBI during that stretch...Batted .288 (47x163) with seven doubles, one triple, two home runs and 11 RBI in 58 games prior to the All-Star break...hit .232 (39x168) with nine doubles, one triple, four home runs and 13 RBI in 50 games following the break...Compiled a .319 average (37x116) against lefthanded pitching....batted .228 (49x215) with righties on the mound. Played 142 games, his most since playing 143 games in 2010....Started 117 games, 96 in LF, 14 in RF, 5 in CF and 2 at DH...Set a career high with eight home runs... Had first career multi-home run game on May 18 vs. NYM...Led the club with 46 stolen bases and was 2nd in the AL to Mike Trout with 49... Was his 3rd season with 40+ steals... Had 10 games with multiple stolen bases and now has 38 in his career... Tied a career high with three steals on July 8 at CWS... Is the 6th different Blue Jay to steal 45+ in a season, the most since Shannon Stewart stole 51 in 1998...Recorded a hit in seven consecutive plate appearances from Sept. 28-29, one shy of the club mark held by Rance Mulliniks, Paul Molitor, Tony Fernandez and Adam Lind... Matched a career high with four hits (7th time) on Sept. 28 vs. NYY...Batted .285 vs. left-handed hitters and .243 vs. right-handed hitters... With runners in scoring position batted .317...Made a career high eight errors, four more than his previous high. Appeared in 95 games this past season, prior to being placed on the disabled list on Aug. 15... The 95 games were his fewest since 2007... The .238 average was a career low, however added a career high six triples... THIEVERY: Stole 34 bases despite starting only 82 games (LF-4, CF-71, RF-7)... The 34 steals led the club and ranked T-7th in the AL... At the time of his last contest on Aug. 14, ranked 3rd in the AL... Stole more than one base on ten occasions, including three in three contests, matching a career high done now four times... On July 19 vs. SEA, stole three bases despite entering the game in the 9th inning as a pinch runner... Eventually scored the winning run in the 14th inning in a 6-5 win... A LITTLE DROUGHT: On June 11 snapped a 0-23 streak with a 4th inning double... Went almost one month without recording a stolen base from June 5 through July 3... Batted just .163 in June with a .171 OBP, walking just once while striking out 21 times, although did add his only home run of the season on June 1 vs. CLE... MAY DAYS: Had his best month in May, posting a .295 average with 12 stolen bases... Had a career high four hits on May 11 vs. BOS (6th time)... PREMATURE ENDING: Aug. 14 tore his left hamstring running out a ground ball and was placed on the 15-day disabled list... Did not appear in game after that and was transferred to the 60-day disabled list on Sept. 7... TROUBLE WITH RIGHT-HANDERS: Batted .221 vs. right-handers vs. .288 vs. left-handers... HOME COOKING: Preferred Rogers Centre, batting .270 at home with a .729 OPS as opposed to .204 average with a .512 OPS on the road. Was his 3rd season in an Athletics uniform... CAREER HIGHS: Set career highs in games played (143), runs (66), hits (149), doubles (28), home runs (5), RBI (52) and stolen bases (50)... Ranked 3rd in the majors in stolen bases... Is only the 5th Athletic to have two seasons of 40+ steals and finished 8th in A's history with 116 steals... Has acareer stolen base pct of 80% in an A's uniform... Averaged 3.40 pitches per plate appearance, his lowest career total...T-3rd in four hit games in the AL with four and T-8th in infield hits with 29... Batted .304 vs. left-handed pitching... BIGFINISHER: Batted .313 in the 7th inning or later... Posted a .268 average before the break and .301 after... Now has acareer .250 mark befroe the All-Star break and a .302 average after the break... Was 6-20 with a grand slam with the basesloaded, and is a career .395 hitter (15-38) with two grand slams in his career... Started 74 games in CF, 33 in LF and 26in RF... QUICK START: Collected four multi-hit games in the A's first five games, joining Mark Kotsay as the only other A's player to accomplish the feat... Had a 14-game hit streak vs. TEX snapped on May 13... Stole a career high three bases, May 26 at BAL... Led the majors with 12 stolen bases in May... Had an 11-game hit streak from June 3-19, and posted a career high 0-19 streak from June 19-29. Began the season as the A's fourth outfielder but played himself into a starting role in center field and ended up hitting .305 in 125 games...started 11 of the A's 48 games through May 31 and hit .146 with no extra base hits and no RBI in 25 games over that span...then started 86 ofthe final 114 games and batted .324 with 27 doubles, fivetriples, three home runs and 48 RBI in 100 games over thatstretch...had the fourth best batting average in the AmericanLeague from June 1 through the end of the season...overall, he ranked fifth in the AL with a career-high 41 stolenbases...became the ninth player (24th time) in Oaklandhistory steal 40 bases in a season...is the first to do it since Rickey Henderson had 66 in 1998...hehad the most steals by an Athletic not named Rickey Henderson since Miguel Dilone stole 50 bases in1978...stole 25 bases for Oakland in 2008 and is the first Athletic with back-to-back 20-steal seasonssince Rickey Henderson and Stan Javier both did it in 1994 and 1995 (Henderson did it seven straightyears from 1989-95)...led the A's in stolen bases for the second consecutive season and also toppedthe club with five triples ...hit .325 after the All-Star Break and tied for the Major League lead with 30stolen bases...the last Athletic to steal 30 bases after the break was Rickey Henderson, who had 41 in1989...also tied for second in the AL in doubles (24) after the break, ranked ninth in batting and tied forninth in hits (90) and triples (4)...now has a .233 (61 for 262) career batting average and 31 stolen basesin 142 games before the ASB and a .302 (165 for 546) average and 62 stolen bases in 191 games afterthe break...had a .338 batting average when leading off an inning, .324 with runners in scoring position,.316 against left-handed pitching, .316 at home and .306 at night...now has a .314 (69 for 220) careeraverage leading off an inning...was 4 for 7 (.571) with a double, triple, walk, hit by pitch, sacrifice flyand 11 RBI with the bases loaded...his batting average tied for third best in the AL (min. 10 PA)...is 9for 18 (.500) with 23 RBI in his career with the bases full...hit .326 in 52 games in the two spot in theorder, which was the second best average in the AL (Aybar, LAA .338)...batted .304 in 113 games asa center fielder, which also ranked second best in the AL (Span, MIN .318)...hit .402 against the ALCentral and .261 against everyone else...that included a .438 mark against Chicago, .435 against KansasCity and .429 against Cleveland...started a team-leading 93 games in center field and also had four startsin right field...had eight assists, which ranked third among AL center fielders, but also committed fourerrors, which tied for third most...was also 2 for 8 (.250) with a triple, two RBI and four strikeouts asa pinch hitter. Was claimed by the A's off waivers from San Francisco on April 23 and went on to steal a team leading 25 bases with Oakland...became just the third Athletic in the last 13 years to steal 20 or more bases in a season, the first since Johnny Damon in 2001 (27)...had four stolen bases with the Giants, giving him a career high 29 overall, whichtied for 17th in the majors...his 29 steals in 226 plate appearances tied for fourth most in the Major Leagues since1900 among players with 250 or fewer plate appearances...they were the most since Rex Hudler had 29 steals in229 plate appearances with Montreal in 1988...had 207 plate appearances with Oakland and only three players in Athletics history had more steals with 250 or fewer plate appearances...Larry Lintz had 31 steals in four plateappearances in 1976, Herb Washington had 29 in zero in 1974 and Matt Alexander had 26 in 47 in 1977...wassuccessful in 25 of his 31 (80.6%) attempts with Oakland, which was the eighth best percentage in the AmericanLeague ...went 1 for 18 (.056) in 12 games with San Francisco and then hit .260 in 101 games with Oakland fora .243 batting average, three home runs and 19 RBI in 113 games overall...in addition to stolen bases, he hadcareer highs in games, at bats (214), triples (4), home runs, RBI and strikeouts (40)...hit .250 (33 for 132) againstright-handed pitching and .232 (19 for 82) with two of his three home runs against left-handers...has hit three of hisfour career home runs off southpaws...batted .271 on the road with all three of his home runs compared to .215 athome...had a .304 average with runners in scoring position and two outs and was 5 for 9 (.556) with a home runand 11 RBI with the bases loaded...hit .207 with 15 stolen bases in 72 games before the All-Star Break and .282with 14 stolen bases in 41 games after the break...was sixth in the AL in post-break stolen bases...hit .276 duringnight games and .188 during the day...started 41 games for the A's, all in center field, but appeared in 84 gamesoverall in center with Oakland as he saw significant playing time as a late inning defensive replacement...startedthree games with San Francisco, including two in center field and one in left field...pinch ran 28 times overall andhad eight stolen bases and 10 runs scored as a pinch runner...was also 0 for 6 with a walk and two strikeouts as apinch hitter...24 of his starts with the A's came batting first and he hit .223 with three walks, eight stolen bases and12 runs scored in 27 games hitting leadoff overall. Split year between Pirates organization and Giants...opened campaign at Triple-A Indianapolis, before being called up to Pittsburgh in June and traded to San Francisco at the end of July...was acquired by SF at July 31 trade deadline with PTBNL (RHP Stephen Macfarland) in exchange for RHP Matt Morris...appeared in 75 Major League contests overall, batting .279 (53-for-190) with 11 2Bs, 2 3Bs, 1 HR, 9 RBI and 22 steals (in 28 attempts)...with SF, hit at .282 clip with 9 2Bs, 1 3B, 1 HR, 7 RBI and 17 steals (21 attempts)...hit safely in 27 of 33 starts with Giants (31 in CF, 1 in LF, 1 in RF), going 39-for-134 (.291) with 22 runs, 9 2Bs, 3B, HR, 7 RBI and 14 SBs in those 33 games...after joining Giants Aug. 1, his 17 stolen bases were 6th highest total in NL (NYM's Jose Reyes led with 28)...hammered 1st career HR Aug. 17 at Florida, a 2-run shot off Scott Olsen...including time with Pirates, batted .299 (49-for-164) over his last 64 ML contests...beganSF career with a .364 showing (20-for-55) over his initial 18 games...set and matched career high with trio of 3-hit games, all with SF (Aug. 9 vs. Washington, Aug. 10 vs. Pittsburgh and Sept. 19 at Arizona)...hit .271 with 2 2Bs, 3B, 2 RBI and 5 steals in 24 contests (12 starts, all in CF) with Bucs...hit .318 in 53 contests with Indianapolis, recording 27 steals...with glove, did not commit an error in the Majors, handling 134 total chances (3 assists) while playing all 3 outfield positions. Spent majority of season with Triple-A Indianapolis...Ranked second in the International League in stolen bases...Had a league-leading .991 fielding percentage among International League outfielders...Made 75 starts in center field and 17 in left field for the Indians...Homered and went 3-for-5 in second game at Pawtucket...Was hitting .203 (13-for-64) after his first 16 games thru 4/21...Hit second and final home run while going 3-for-5 with three RBI on 5/10 at Charlotte...Hit safely in nine of his 11 games while going 17-for-48 (.354) from 5/24 thru 6/4...Stole seven bases over a six-game stretch from 5/28 thru 6/3...Was on the disabled list from 7/14-23 with a fractured middle finger on his right hand...Hit .441 (26-for-59) in 15 games in July which included only four-hit game of season on 7/27 at Norfolk (4-for-5)...Stole season-high four bases at Columbus on 8/4...Was recalled by Pittsburgh on 8/14 and went 0-for-1 in major league debut that night vs. Milwaukee (flied out as a pinch hitter)...Walked and swiped first major league base on 8/16 vs. Milwaukee...Snapped 0-for-5 start to his career with a pinch-hit double off Chicago's Carlos Zambrano on 8/29; also scored first big-league run in the game...Also singled as a pinch hitter off Jeff Weaver at St. Louis on 9/2. ...Went hitless in his last six at bats...Made only defensive appearance in right field on 8/30 vs. Chicago (three innings)...Participated in Venezuelan Winter League and hit .227 (15-for-66) with four RBI and six stolen bases in 15 games with Caracas. Was a member of Pittsburgh's 40-man roster and attended major league spring training camp...Spent entire season with Altoona (AA)...Shared Eastern League lead in stolen bases and ranked fifth in runs scored...Led club in games played, hits and at bats...Shared team lead in stolen bases while also equaling the Curve's single-season club record...Was named to mid-season All-Star team...Made all 118 defensive appearances in center field and committed nine errors...Also went 2-for-12 in three games as the designated hitter...Was the club's most-used leadoff hitter (119 times)...Posted a team-high 39 multi-hit games, including 13 three-hit games, one four-hit contest and one five-hit game...Stole a season-high three bases and also tied a minor league career-high with four runs scored on 4/18 vs. Akron...Batted .171 (7-for-41) in first 11 games thru 4/20, but then hit safely in nine straight games (16-for-41, .390) to raise average to .277 on 4/30...Produced four hits on 5/8 @Trenton...Went 15-for-29 (.517) in seven-game stretch from 5/7-14, raising average to .322...Had four RBI on 6/4 @Reading...Hit first home run on 6/7 vs. Binghamton...Participated in the Eastern League All-Star Game on 7/13 @Portland and went 1-for-3 with a run scored and stolen base as the starting center fielder for the Southern Division squad...Became just the sixth player in franchise history to record five hits while going 5-for-6 on 7/27 vs. Binghamton...Homered in back-to-back games on 7/28 and 7/29...Suffered a fractured right hand after being hit by a pitch on 8/24 @ Bowie...Was placed on the disabled list on 8/25 and missed remainder of season...Hit .292 (19-for-65) with a homer and three RBI in 19 games with Guasave during the Mexican Winter League. Spent entire season with Lynchburg (A)...Led Carolina League in batting, runs, hits and stolen bases...Was named to the league's mid-season and post-season All-Star teams...Became first Lynchburg player since Lenny Dykstra in 1983 to lead the league in stolen bases...Tied for second among the league leaders in triples, ranked sixth in doubles and fourth with a .388 on-base percentage...Made all 119 defensive appearances in center field...Also went 6-for-22 (.273) in six games as the designated hitter and went 2-for-2 as a pinch hitter...Was used primarily as the leadoff hitter, where he batted .322 (154-for-478) with 56 walks and 87 runs scored...Batted .325 against left-handed pitchers and .312 against righthanders...Had four hits and scored four runs in second game of the year on 4/10 vs. Frederick...Was hitting .407 (22-for-54) following the action on 4/23 (14 games)...Batted .333 during the month of April...Reached base safely in 16 straight games from 5/12 thru 5/29, going 22-for-66 (.333) with 12 walks...Did not homer in his first 71 games and 291 at bats before going deep in back-to-back games on 6/27 vs. Myrtle Beach and 7/1 @Wilmington...Average dipped below .300 for just five days in June, reaching a season-low .292 following the action on 6/19...Hit safely in 14 straight games from 6/20 thru 7/14 (30-for-57, .526), which included four consecutive games with three hits (7/8-11). ...Had second and final four-hit game on 7/30 @Salem...Hit .330 (31-for-94) during the month of July...Tripled in back-to-back games on 8/26-27...Finished season with an 11-game hitting streak (15-for-45, .333)...Batted .339 (35-for-104) and smacked three of his five home runs during the month of August. Spent entire season with Hickory (A)...Was named to South Atlantic League post-season All-Star team...Ranked third among league leaders in stolen bases, third in hits and third in runs scored...Also ranked seventh in hitting...Tied for first among Bucco farmhands in triples, ranked third in runs and tied for second in hits...Established minor league career highs in home runs and RBI. ...Made 103 defensive appearances in center field and 14 in left field...Also went 13-for-36 (.361) in eight games as the designated hitter...Batted .338 against left-handed pitchers and .293 against righthanders...Went 4-for-4 with a triple, four RBI and three runs scored on 5/6 vs. Charleston, SC...Reached base safely in 17 of his 18 games from 5/9-31...Batted .320 (32-for-100) with 10 doubles in 25 games during the month of May...Hit just .190 with two extra-base hits in June...Batting average bottomed out at .265 following the action on 7/2...Hit .359 (74-for-206) from 7/3 thru the end of the season (52 games)...Recorded at least one hit in 15 of his 16 games from 7/2 (game two) thru 7/20, going 32-for-77 (.416) during that stretch...Hit .375 (45-for-12) in 28 games during the month of July...Banged out season-high five hits on 8/4 @Lakewood. Hit .380 (92-for-242) with 16 doubles, five triples, four home runs, 38 RBI and 26 stolen bases in 65 minor league games...Was named the Topps Gulf Coast League Player-of-the-Year and was named to the GCL All-Star team...Led the Gulf Coast League in average, at bats, hits, on-base percentage (.436) and total bases (124)...Tied for the league lead in extra-base hits (25) and finished 3rd in stolen bases and second in slugging percentage (.554)...Led all Pittsburgh farmhands in batting average and on-base percentage (.444)...Reached base safely in 55 of his 58 games played with Bradenton...Went 26-for-53 (.491) during a 13-game hitting streak from 7/8 thru 7/23 (game one)...Posted a season-high, 18-game hitting streak from 7/24 thru 8/13 (29-for-74, .392). ...Was named the GCL Player-of-the-Month for July...Hit .425 (48-for-113) in 28 games during the month of July and was hitting .404 following the action on 8/12...Went 1-for-11 in his next four games, dropping average to .387...Made all 54 defensive appearances in center field while playing with Bradenton...Also went 6-for-16 (.375) in four games as the designated hitter...Went 0-for-4 vs. Aberdeen on 8/27 in one game played with Williamsport...Finished season with South Atlantic League champion Hickory club and reached base safely in all six regular season games...Reached base safely in 61 of his 65 games during the entire season. Was selected by Pittsburgh in the 38th round of the June draft...Played in the New England Collegiate League before signing a contract...Went 4-for-28 (.143) in 10 games with Middleton...Began professional career with Williamsport on 7/4...Went hitless in first five games (nine at bats) before singling in final game with the Crosscutters on 7/17 vs. Mahoning Valley...Made first two appearances @second base and final three in left field for Williamsport...Finished season playing with Bradenton...Went 1-for-2 with two walks, two stolen bases and three runs scored in first game on 7/25 vs. Orioles...Hit .320 (8-for-25) in July, but just .237 (14-for-59) in 19 games during the month of August...Recorded lone extra-base hit (double) on 7/31 @Red Sox (game two)...Made 24 appearances in center field and three in right field while playing with Bradenton. December 17, 2018 New York Mets signed free agent CF Rajai Davis to a minor league contract and invited him to spring training. 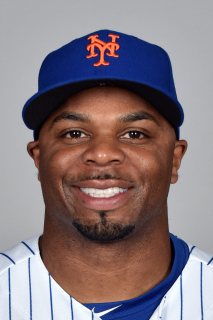 December 17, 2018 CF Rajai Davis assigned to Syracuse Mets. October 29, 2018 CF Rajai Davis elected free agency. September 1, 2018 Cleveland Indians activated CF Rajai Davis from the 10-day disabled list. August 29, 2018 Cleveland Indians sent OF Rajai Davis on a rehab assignment to Akron RubberDucks. August 22, 2018 Cleveland Indians placed CF Rajai Davis on the 10-day disabled list retroactive to August 20, 2018. Non-baseball medical condition. March 29, 2018 Cleveland Indians selected the contract of CF Rajai Davis from Columbus Clippers. February 17, 2018 Cleveland Indians signed free agent CF Rajai Davis to a minor league contract and invited him to spring training. February 17, 2018 CF Rajai Davis assigned to Columbus Clippers. November 2, 2017 CF Rajai Davis elected free agency. August 24, 2017 Boston Red Sox activated CF Rajai Davis. August 23, 2017 Oakland Athletics traded CF Rajai Davis to Boston Red Sox for RF Rafael Rincones. May 2, 2017 Oakland Athletics activated CF Rajai Davis from the 10-day disabled list. April 25, 2017 Oakland Athletics placed CF Rajai Davis on the 10-day disabled list retroactive to April 22, 2017. Strained left hamstring. January 3, 2017 Oakland Athletics signed free agent CF Rajai Davis. November 3, 2016 CF Rajai Davis elected free agency. December 17, 2015 Cleveland Indians signed free agent CF Rajai Davis. November 2, 2015 CF Rajai Davis elected free agency. June 5, 2015 Detroit Tigers activated CF Rajai Davis from the paternity list. June 2, 2015 Detroit Tigers placed CF Rajai Davis on the paternity list. December 11, 2013 Detroit Tigers signed free agent CF Rajai Davis. June 4, 2013 Toronto Blue Jays activated LF Rajai Davis from the 15-day disabled list. May 31, 2013 Toronto Blue Jays sent RF Rajai Davis on a rehab assignment to Dunedin Blue Jays. May 11, 2013 Toronto Blue Jays placed RF Rajai Davis on the 15-day disabled list. Strained oblique. November 1, 2011 Toronto Blue Jays activated RF Rajai Davis from the 60-day disabled list. September 7, 2011 Toronto Blue Jays transferred CF Rajai Davis from the 15-day disabled list to the 60-day disabled list. September 3, 2011 sent OF Rajai Davis on a rehab assignment to Dunedin Blue Jays. August 15, 2011 Toronto Blue Jays placed CF Rajai Davis on the 15-day disabled list. August 14, 2011 Rajai Davis roster status changed by Toronto Blue Jays. April 29, 2011 Toronto Blue Jays activated CF Rajai Davis from the 15-day disabled list. April 22, 2011 sent RF Rajai Davis on a rehab assignment to New Hampshire Fisher Cats. November 17, 2010 Oakland Athletics traded RF Rajai Davis to Toronto Blue Jays for RHP Danny Farquhar and RHP Trystan Magnuson.